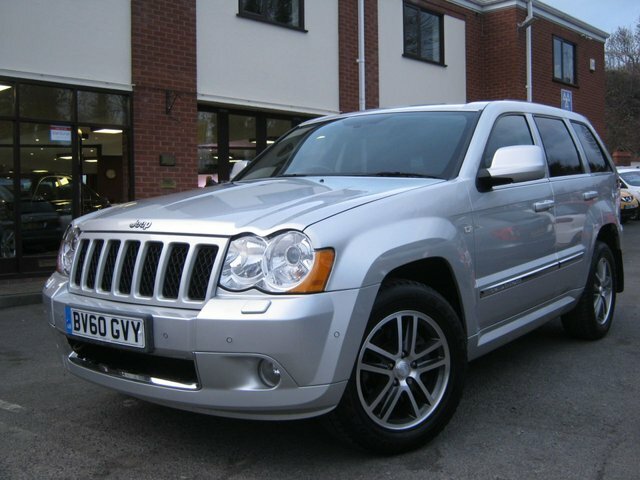 This immaculately presented 2010 60-Reg Jeep Grand Cherokee Ltd Auto has covered just 75,000 miles from new with FSH and was prviously sold and maintained by us for the last owner, it has a lovely spec with extras including factory fitted sat nav and bluetooth phone prep,cruise control,climate control,auto lights and wipers,folding mirrors,electric memory seats. half leather/alcantara trim,heated seats,Xenon headlamps,parking sensors, USB/Aux interface,alloy wheels,privacy glass and cd player,has to be the best example you will find anywhere!!! Known for their power and presence, Jeep's range of 4x4 vehicles need no introduction. Finding a great deal on a used Jeep for sale in Worcester is no problem at all when you enlist the help of the team at BJH Motors and Sons. We've years of experience helping customers to find the right used cars to match their lifestyle and budget, and we'll always go the extra mile to ensure you're 100% happy with your new vehicle. Browse our latest range of used Jeep Cherokee models if you're looking for a reliable and ultra-stylish SUV, or turn to a used Jeep Renegade if thoughts of adventure are never far from your mind. Browse our complete stock online now.